A patient presented complaining of hip pain after a ski injury. 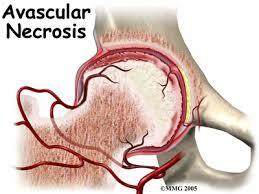 He sustained a fracture of his hip and was surgically treated with metal rod. He continued to have complaints of pain and researched avascular necrosis. 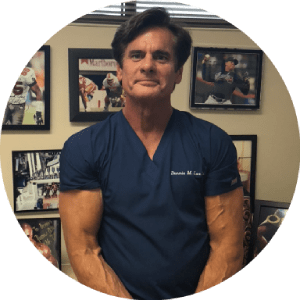 He consulted Dennis M. Lox, MD, for stem cell therapy as he was concerned with further hip degeneration and did not wish at a young age to have a total hip replacement. Stem cell therapy has been used successfully to treat avascular necrosis (AVN). The prevention of secondary joint degeneration is paramount to preventing joint collapse and avoiding a total hip replacement. If your suffering from Knee Pain, Tendon Injurie, Patellar Tendonitis, Muscle injuries, Ligament sprains or tears, Bursitis, Osteoarthritis, Hip Pain, Muscle pain or injury, Pyriformis syndrome, Greater Trochanteric Bursitis, Tendon injuries Sacroiliac joint pain, Hamstring tendonitis or tears, Shoulder and Arm Pain, Rotator Cuff tendonitis, tendonopathy or partial tears, Bicipital tendonitis, Medial and Lateral epicondylitis, Ulnar Collateral ligament sprain or tear, Lower Leg and Foot Pain, Plantar Fasciltis, Shin Splints, Peroneal tendonitis, Ankle sprains/ligament injury, Achilles tendonitis or partial tears and are looking for an alternative to surgery, contact us immediately at one of our locations. Our Main Medical Center located in Tampa Bay, Florida (727) 462-5582 or at Beverly Hills, California (310) 975-7033.